"Kim is a rockstar! She had clean, on target designs. Was so responsive and delivered on every item. Truly thankful for her artistry!" "Easy to work with. Open to my ideas.thanks! " "Kim is very talented! 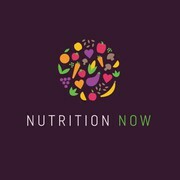 Did an excellent job at considering my feedback, and I ended up with a logo that I totally love. And although we are in completely different time zones, she was very quick to respond to my messages. " 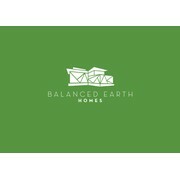 "Kim created a great logo for our new company balanced earth homes ltd. She really interpreted our brief fantastically and produced a logo we love exactly to our specification. I wouldn't hesitate to work with Kim again in the future and she is very resp..."
"Kim really listened to my comments, likes & dislikes, and the description of my law practice. She submitted just the design I was looking for. She came up with something original and I love my new logo!" "Great contest with some excellent designs submitted. Kim was a pleasure to work with. " "We're very happy with our logo! Kimvc's design stood out from the rest and is very polished. 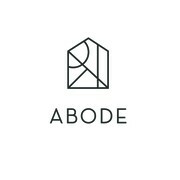 Her logo captured exactly what we were looking for in tone and style. " "My winning design was spot on brief, classic, simple and rustic. " "Kim did an excellent job of translating our design brief into a best-in-class logo for our firm. 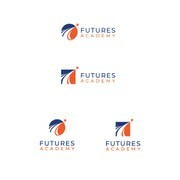 Right from the start, Kim demonstrated the quality of her work with 3 great logo designs. Our satisfaction went beyond her great design aesthetic, as we..."
"Kim was a delight to work with. She was responsive to my requests (beyond what I would expect for a competition) and understood my brief better than other designers. Kim constantly kept in touch with me throughout the contest. I am absolutely thrilled ..."
"Very talented and creative artist. Did a great job. Was quick and very attentive to our feedback." "Kimvc responded to feedback and updated with new submissions in timely fashion, creating a logo & design that my client was very enthusiastic about. Good work!" "KimVC is easy to work with and wanted to make sure I was happy with the end product. I would strongly recommend him and look forward to working with him in the future. " "Great designer! Reliable and diligent. Great to work with." "Kim was great to work with--efficient, responsive to my needs, and really flexible. I had over 220 designs submitted, and hers always stood out. She has a really good eye for design and a professional touch. I highly recommend her. "